What do you think of when you see an old VW campervan? Hippies from the 60s? Rock festivals? Or just families bumbling along in their camper holidays of years past. Believe it or not, you can still get a old of one of those old campers, but beware, they are old, and buying one might not be the best investment ever. You may find a cheapish one, but the price of maintaining and even fixing one up may be costly. If you want to use one for a tour or holiday, then your best bet might be in finding a VW campervan hire service. But why? Firstly, the flexibility. If you’re only looking to use it seldom, then having to go to the effort of finding, buying, insuring, and maintaining it could be a lot of hassle, especially if it is older. By renting, all you need to do is book it for the duration of your holiday, use it, and then return it after. The process is simple, and very affordable. Moreover, you’re not buying into any problems. Ultimately it is the responsibility of the hire company to ensure that it is delivered to you in a clean and operational state. You must of course keep it in such a state during your use of it and return in identical condition at the end of your holiday (don’t forget to fill it up with fuel before handing it back). This allows you to enjoy your holiday stress free, without having to worry about breaking down and a big bill at the end of it. 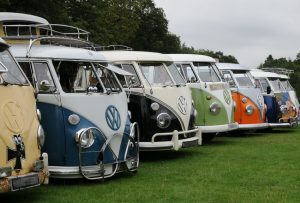 There are also several VW models to choose from, you don’t have to use the old VW camper style. This gives you further freedom to pick the unit that suits you best. The old style can sleep up to 4 max, whereas the newer styles are able to sleep more. Once again, renting gives you this flexibility, if you’re going away with two of you, you can pick a smaller unit, whereas if you are going with more people, simply hire a larger unit. Be aware that many hiring campervan and motorhome companies will require you to put down a sizeable deposit, but this can be held on your credit card and not actually initiated unless something did go wrong. It’s a security for the company as much as anything. Very often the price of renting the unit will include insurance, but any additional drivers may incur an extra daily fee. But overall, this is still much cheaper than buying. 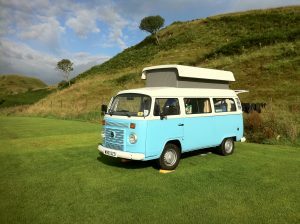 But hiring an old VW campervan will give you a lot of nostalgia. Renting is also an excellent way to introduce yourself to the world of camping if you’ve never done it before. If you like it and want to do it more often, then perhaps buying might be the way to go. But renting gives you that ability to see if you like it or not. 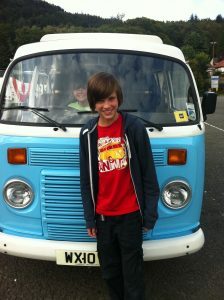 So have a look into VW campervan hire, check the costs out for yourself and compare renting against buying. I bet you find you’re better off simply renting.